Although British author P. D. James writes in the tradition of the British crime storyteller, because her stories also explore relationships, motivations(reasons for behavior), and meanings of justice, some people think of her more as novelist than a mystery writer. P. D. James was born Phyllis Dorothy James on August 3, 1920, in Oxford, England, the oldest of three children. Her parents, Sidney Victor, a tax official, and Dorothy May (Hone) James, moved to Cambridge, England, where Phyllis attended the Cambridge High School for Girls. Phyllis liked Cambridge and even used the city as the location for one of her books, An Unsuitable Job for a Woman. Phyllis had to leave school at age sixteen to work. The family did not have much money and her father did not believe in higher education for girls. Dorothy worked in a tax office for three years. Later she found a job as an assistant stage manager for a theater group. In 1941 she married Ernest Connor Bantry White, an army doctor, and had two daughters, Claire and Jane. James was in her early forties when her first novel, Cover Her Face, was published in 1962. Her personal and professional experience helped to develop her powers of observation and thought. These aided her in both her description of police detective work and her portrayal of characters. In 1968 James passed an examination that qualified her for a government job. She eventually worked in the Crime Department (1972–79) in London. James's work served as a basis for her novels, giving them backgrounds for both medical and police procedures (official ways of working). The settings of several of her mysteries, including A Mind to Murder (1962), Shroud for a Nightingale (1971) and Death of an Expert Witness (1977), are in medicine-related locations. In all of these novels she is just as interested in examining the relationships among people as she is in telling a mystery story. James's work is distinguished (special) not only for its quality of plot, setting, and character, but also for its experimentation with the mystery form. Her first novel, Cover Her Face (1962), is similar to the stories written by Agatha Christie and Dorothy L. Sayers, but James began to experiment with new plots and new types of characters. She has written about questions of social privilege (special rights), politics, aesthetics (the theory of beauty and art), and theology (the study of religion). In her novel The Children of Men (1993) she experimented with science fiction. Most of James's books involve one of two characters: Adam Dalgliesh, a police inspector in Scotland Yard (London's police headquarters) and a published poet; and Cordelia Gray, a young private detective introduced in An Unsuitable Job for a Woman (1972). In addition to their own individual mysteries, Dalgliesh and Gray appear together in some of the books. 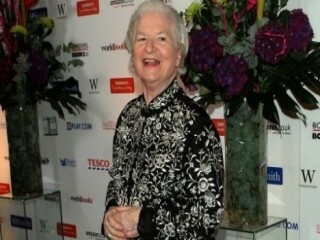 To date P. D. James has published fourteen books and many short stories. She was awarded the Order of the British Empire (OBE) in 1983 and was made a baroness in 1991. She also served on the governor's board of the British Broadcasting Company (BBC). She continues to have loyal fans who enjoy both a good mystery and a well-written novel.